I bought it because it was inexpensive. It is used for outdoor watering piping. I replaced it because PVC tube was damaged by freezing. There is nothing wrong. This review is about item#5703984. It was as expected. It was easy to use and could be used without defects. This review is about item#05704036. This review is about item#5704027. I did not have 1/8 in monotaro but purchased here. It was a product without any problem. This review is about item#5703957. It is an inexpensive product, but without the roughness of the thread mountain, it was necessary and sufficient quality. This review is about item#5703966. I am using it without problems. Water drops adhere to screw parts etc. after condensation. 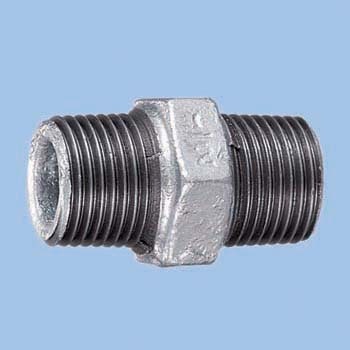 The threaded part is getting rusted, but it is assumed. This review is about item#5704002. It is easy to use and satisfied with the feeling of use as I thought. This review is about item#05703957. This review is about item#05703984. I can use it normally. This review is about item#05703966. This review is about item#05703975. Delivery was also fast, so I got to work as soon as possible and it was a great help. This review is about item#05704045. This review is about item#05704027. The screw thread formation is bad (especially the first mountain is crushed feeling) It seems that scratches appear if the mating material is a soft material such as aluminum. If fittings of the same manufacturer fit together, it is difficult to say smooth. This review is about item#05704002. The state of the thread was bad and could not be screwed smoothly. Because I usually use SUS made, is not it a case of casting? I bought a SUS made without using it again. I could use it without any problem. I am satisfied without screws. I was a little worried about burrs on the inside.